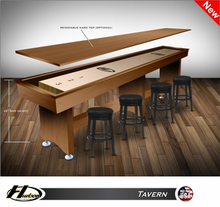 Using the finest craftsmanship, all of our tables are constructed and designed around proper shuffleboard specifications to provide years of fun and entertainment. 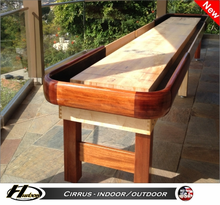 We are the only shuffleboard manufacturer in the world that pours the finish with the climatic adjusters attached to the board to ensure the best playing surface on the market. 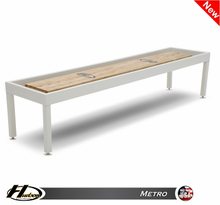 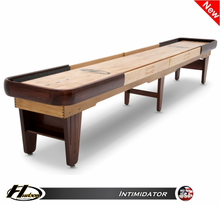 Our tables are used in professional tournaments and are backed with a lifetime warranty. 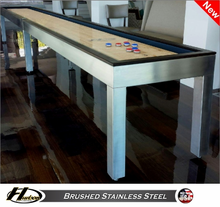 Just another reason why Hudson Shuffleboards are the #1 choice among the top players in the world. 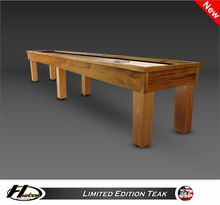 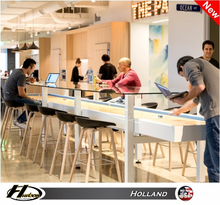 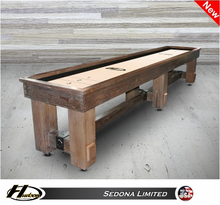 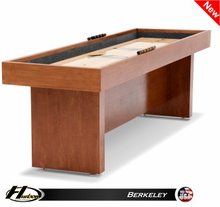 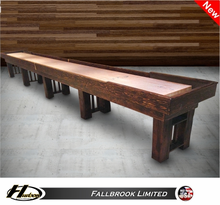 Please read our Buyers Guide and see what makes Hudson Shuffleboards the best on the market. 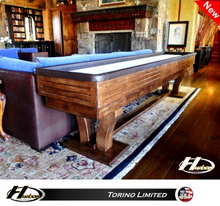 22' Grand Hudson (tournament size) - Made in the USA! 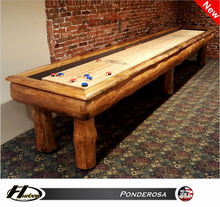 20' Grand Hudson - Made in the USA! 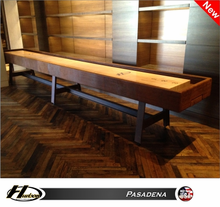 18' Grand Hudson - Made in the USA! 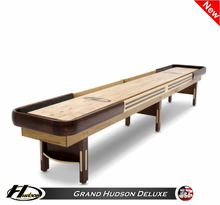 16' Grand Hudson - Made in the USA! 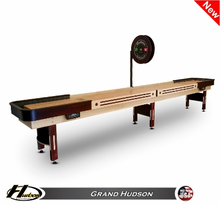 14' Grand Hudson - Made in the USA! 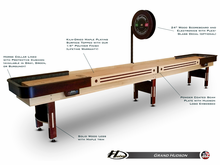 12' Grand Hudson - Made in the USA! 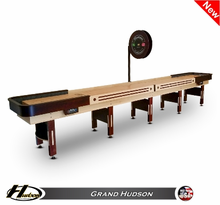 9' Grand Hudson - Made in the USA!